This is the year that Sydney Football Club got Alessandro del Piero and rumours of David Beckham coming to Australia had football fans pretty excited. And this week was the week that Australian football hit undreamed-of heights with a $40 million-a-year television rights deal. If anyone wonders why selling rights to help sign global stars is so important to what many refer to as the beautiful game, they should count attendance at Sydney games these days, or the surge in club membership. Or they can look to Europe and wonder at the financial success of clubs such as Real Madrid amid the gravest recession in Spain since the Great Depression. Or why perhaps the world’s most popular club - Barcelona FC - has1.2 million signed-up fans in China, which it serves with a Chinese-language website hosted by a Chinese technology company. A big global business - just like Coca-Cola or Apple. But its global appeal and accessibility also makes it a potent vehicle of world diplomacy. Just look what happens when this backfires. In 1969 simmering tensions between El Salvador and neighbouring Honduras tipped over into full-blown war after the former beat the latter in a decisive FIFA World Cup qualifier. On the other side of the same coin, however, there are countless examples of football uniting countries, or peoples within countries or simply lifting national spirits when the chips are down. In our own region, Prime Minister Hun Sen last September led his side of Cambodian officials to victory against Thai officials in a match marking a return to friendly relations following border clashes earlier in the year. Football is a game that allows skinny kids from the slums of Rio de Janeiro to become global superstars, or national heroes from Korea or Japan to become household names in England or Germany. Here in Australia, we owe the growth of football - against the might of three other football codes - to the influx of southern European immigrants after World War Two and subsequent advances in global communications, first in television and radio and now the internet. As Australia in recent years has looked increasingly to Asia for its continued prosperity and cultural links, our football, too, has become increasingly integrated with the region. With Australian membership of the Asian Football Confederation in 2006, Australia began a sporting relationship with many Asian and Middle Eastern countries that complements our other ties. This gives us the potential to forge the sorts of bonds that Australian cricket has with the Indian subcontinent, for example, or rugby union with our brothers in New Zealand or grandparents in Wales. Like international students, footballers playing outside their own country, if the experience is positive, become ambassadors for their host countries, cities and clubs, while promoting the virtues of their own countries. Del Piero is already waxing lyrical about the warmth of the Australians, while Sydney’s considerable Italian community has adopted him like a son. Another future ambassador for Australia is Shinji Ono, one of the biggest stars in Asian football and the first Japanese player to win a European trophy, who now plays for the Western Sydney Wanderers. Going in the opposite direction, Socceroo Sasa Ognenovski [pron. Sar-shar Og-nen-off-ski] was named the Asian Champions League Most Valuable Player and Asian Footballer of the Year in 2010, while playing in Korea. He also captained his then-club Seongnam [pron. See-ong-nam] to victory in the Asian Champions League. In all, there are currently nine Australians playing in Korea’s K-League, which is the premier competition. Other Australian players such as Joel Griffiths and Daniel Mullen are making waves in the Chinese Super League. By all accounts, they are loving it. These are the sorts of people-to-people links that help enmesh one country with another, that tie together an entire region. That foster understanding and cultural exchange. They are the sort of links that can also facilitate business contacts. As the success of Real Madrid or Barcelona attests, football and sports more generally have become an important driver for business the world over. Competition to host some of the world’s major sporting events ‑ such as the Summer and Winter Olympics, the World Cup and the Commonwealth Games - is not just driven by the desire for prestige, but also for the enormous business opportunities on offer. In business schools around the world, sporting clubs and events have become the subject of case studies on global marketing and merchandising strategies. Graduates from those MBA courses sit on the boards of those very same clubs and event organisations. Well-staged sporting events have a multiplier effect. London 2012 brought a much needed boost to the British economy. The 2010 World Cup helped rebrand South Africa as a tourist destination, with the country still attracting a higher number of tourists than before the tournament. And Sydney, quite rightly, is now considered a fitting and able host for international events since the Sydney Olympics in 2000. Australians since have become internationally recognised for their ability to plan and deliver major sporting events. In fact, 46 Australian companies were involved in the London 2012 Olympic Games and 26 are already working on the 2016 Games in Rio. Australian sport and Australian business go hand-in-hand. It’s not just Australians’ insatiable appetite for sport that has helped four distinct football codes become commercially viable in Australia, it’s the talent of the business people behind these sports and our world-class sporting infrastructure. The increased popularity of the A-League, in what outsiders might consider a saturated market, is testament to the ability of the great business minds behind the sport. As it was recently reported, in these early stages of the season, the A-League is averaging crowds of more than 15,000 a match. This is above the average crowds that the game attracts in football-mad Brazil. Australia joining the Asian Football Confederation in 2006 was a brave but important move. It has improved Australia’s standing in the world game immensely. Before joining the Confederation, the Socceroos were ranked 48th in the world. They are currently ranked 33rd, after peaking at 14th in 2009. The Socceroos qualified for the 2010 World Cup in South Africa through the Asian Football Confederation. Its membership of the Confederation has concentrated Australia’s football focus on Asia. The Asian Football Confederation’s motto is simply “the future is Asia”. The Asian Football Confederation’s 46 member associations represent 3.7 billion people, or more than half of the world’s population. The year that Australia joined the Confederation, 80 million people were playing football across Asia. That was already at least 20 million more than those playing in Europe, which is widely considered football’s traditional home. According to Football Federation Australia’s submission to the recently-released White Paper on Australia in the Asian Century, this number may have since increased to more than 380 million. Asia will compete as a future source of the game’s top players as the continent raises standards on the field, and the standards of administration and sports Science. People across the continent are not just keen players, but they love to watch football, too. It’s estimated that between 100 million and 360 million people in China regularly tune in to the English Premier League. This has not been lost on Manchester United, which, like Barcelona, enjoys a strong fan base in China. Asian companies, meanwhile, have become some of the game’s major sponsors. Thai company Singha Beer, Japanese company Yanmar, Malaysian company TM, Saudi Arabian Company STC, and Hong Kong company PCCW are all sponsors of Manchester United. The Chinese solar power company, Jinko Solar, is a major sponsor of Spanish football team, Valencia. Indonesian airline, Garuda has a sponsorship deal with Liverpool FC. And, of course, closer to home, Indonesia’s Bakrie Group fully owns Brisbane Roar. When the company took full control earlier this year, group head Aga Bakrie said he saw huge potential in the A-League as one of Asia's top professional club competitions. He said: “Our aim is to develop the Roar into Australia's biggest club and carry that success across Asia." Asia’s importance to the world game will only increase as the region continues to grow in population and in wealth. As the White Paper details, Asia has already transformed the global economy 13 years into the 21st Century. And Asia’s rise has some way to go. By 2025, Asia will be home to four of the world’s 10 largest economies. By 2030, the region will be home to 3.2 billion of the 4.9 billion middle class consumers in the world. The White Paper is about putting Australia in the right place at the right time to benefit from, and contribute to, Asia’s rise. We will have to work hard to develop stronger relationships and capabilities to better promote Australian interests in Asia. The Australian Government is committed to achieving this by boosting our Asia capabilities in schools, universities, the public service and in business. Our commitment to Asian language training for young people will eventually make it easier for our players to make the move to countries in the region. Who knows? Maybe football - already a universal tongue - could become the fifth priority language for us, behind Mandarin, Japanese, Hindi and Bahasa. 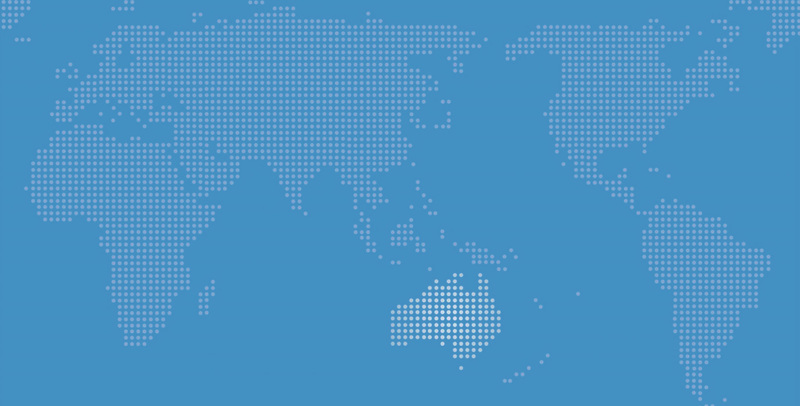 By expanding Austrade’s footprint in the region, we also hope to help more businesses, and a greater diversity of businesses, make enduring connections in Asia. Sport will play an ever-growing role in strengthening Australia’s connections in the region. As it is already doing. Many elite Australian athletes who play overseas will tell you that they are being invited to more and more business network events. This is because they are recognised for the role they play in bridging social and cultural boundaries. Certainly the theme, after all the economic analysis of the White Paper team, the theme that came out of the consultations was the value of developing people-to-people in our region. This matter more in the Asian region probably than any other part of the world, and this is where we see football playing such an important role. Many captains of industry, who are influential in their own countries, are involved in sport at all levels through board placements, team ownership or sponsorship arrangements. Indeed, when I was in Mumbai last year talking to young people - I thought they were young – at the Mumbai Stock Exchange, they said to me ‘why don’t you come to the World Cup’. And I said, ‘well, how are you going to get me into the World Cup?’. And they said ‘well, we own the IPL franchise in India’ – and these guys were about 35 years of age. But it is a way of demonstrating how business and football and that love of football bring countries closer together. And you saw Simon Crean presenting an Australia Award to Sachin Tendulkar - I reckon everyone in India would know about that. So that’s a great example of sporting diplomacy of the type that is being practiced also in football. In many Middle Eastern nations, the head of football is either a member of the ruling family or part of the business elite. The Australian Government wants to better leverage these connections between business and sport, recognising that we may not have fully capitalised on these relationships in the past. Likewise, Australia’s hosting of the Asian Cup in 2015 holds enormous opportunities to promote Australia’s brand in the Asian region. It and the cricket World Cup, which Australia will co-host in the same year with New Zealand, are expected to each draw a television audience of one billion. The Asian Cup is likely to attract 45,000 international visitors to Australia. And I’d suggest, if anything, that that’s an underestimate. The short-term economic opportunities are obvious. But there are also possible longer-term benefits that will be missed if we don’t start work now. One of the most important will be promoting Australia as a tourist destination beyond the Asian Cup. It’s estimated that for every dollar that tourism earns directly, another 92 cents is made in other parts of the economy. This is higher than any other major industry in Australia. A successful 2015 Asian Cup will also further cement Australian companies’ reputation as providers of quality services for major sporting events. This is important, given the number of big events that will be hosted in Asia in the next 10 years. These include the 2018 Winter Olympics in South Korea. The 2019 Rugby World Cup in Japan, the first time a Rugby World Cup has been hosted in Asia. Japan is also a contender to host the 2020 Summer Olympics. And the 2022 FIFA World Cup will be held in Qatar. In this context, the Asian Cup in 2015 really couldn’t have come at a better time. It’s an exciting time to be involved in Australian sport. We are part of a region that has become the focus of many sporting codes. Not just the region but the world will be watching us in 2015. The Government looks forward to working with the Asian Cup Local Organising Committee and Football Federation Australia in the lead-up to the 2015 Asian Cup. We want to put on the best tournament possible. And to make sure the longer-term opportunities in tourism and business are realised. Maybe Beckham will be on hand with some friendly advice.